If plucking stops after taking away the rye, barley, wheat, spelt, kamut and oats you can try slowly reintroducing them later, after the plucking has stopped. After eliminating any foods from the diet, and leaving them out for several weeks to months, you can then slowly add them back into the diet one by one, and watch for any reactions. If you don't see any reaction to reintroduced food, then an allergy to those foods most likely isn't a problem. IF you reintroduce soy, the recommended soy is edamame or green soybean which looks like big snap peas. Tofu in small amounts may be ok as well. Organic WHOLE legumes (lentils more protein) ( mung and adzuki are most easily digested) soaked for 10-24 hours and then cooked. Bring to boil for 10 min., simmer for 20 min. If you sprout legumes, sprout until you have at least 1/4 " tails, preferably longer. Finely minced garlic..for a small bird only about 1/8 of a clove, a large bird 1/4 clove, mixed into food a few times a week, NO more than once a day. Supplement with a small amount of powdered alfalfa, you can purchase capsules. 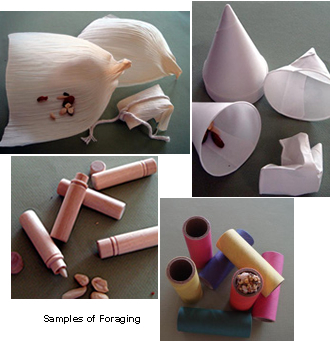 suggested amounts: 1/8 capsule for birds up to 250 g, 1/4 capsule 250-500g, 1/3 capsule 500g-750 g, 1/2 capsule 750g-100g. Also supplement with a tiny bit of kelp. It's best to add a small amount of kelp to a recipe that lasts a few days. On a daily basis, the amount of powdered kelp would be like what you may fit on the end of a pen. A suggested amount of powdered kelp is: 1/10 of 1/4 teasp. per day for a medium sized parrot...that's how tiny! For a plucker, you may try giving kelp daily for about 6 weeks and then after that time give kelp 3-4 days of the week. Kelp can help to stimulate a sluggish thyroid but it has been found that too much kelp, or if given daily for a long period of time, that it can inhibit thyroid activity, which could possibly lead to plucking. Which is why the small dosage is so very important! Quality probiotics: Psittacine-specific probiotics (good bacterial normally found in parrots) should be offered to help compete with potentially / harmful pathogenic bacteria ... Why is Lactobacillus Acidolphilus so Important to your Bird's Health? A squirt of apple cider vinegar on fresh foods (approximately 1/4 teasp birds up to 250g, 1/2 teasp up to 500g etc). PLEASE NOTE: HEATED vinegar emits toxic fumes similar to carbon dioxide. Bird owners have lost their pets by adding vinegar to their dish-washing cycle, or used it to clean coffee machines. Raspberries. You can use fresh or frozen..thawed. Mix a few daily into fresh foods.Put through food processor is you need to. Put into 2 cups water, keep in fridge up to one week. Steep each herb in 1 cup of water for 5 minutes. Combine and store in refrigerator for up to one week. Use several times a day for 5 days. Stop for 3 days to determine if another dose is needed. Take parrot outside for at least 20 min. of sun and fresh air, more is better, weather permitting of course. Be sure that your bird has adequate shade on sunny days. Daily exercise. Have your bird walk, maybe go up some stairs. Flap its wings on a hoop. If it flies, work on flight training. Supply plenty of activities and projects in its cage to keep busy/active. Bathe your bird several times a week. If it doesn't like baths, don't force them but gradually work on making bath time a good thing. Bird Proof Your Home to Protect Your Furniture and Keep your Bird Safe .